What side of the house are you part of...development or operations? Would you say your company has adopted a DevOps culture? If you have one, what is your favorite configuration management tool? 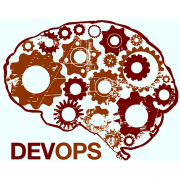 Want to find out the last information about this group or chat about DevOPS? Many of us hangout in #DevOPS on Tech404. A group of Atlanta-area sysadmins, developers, managers and other thought leaders who have recognized the relationship between development and operations is toxic and fundamentally broken. We'll be talking DevOps, Agile Infrastructure, Agile Operations, or whatever you want to call it (Damon Edwards, from DTO Solutions, explains it best). Come hang out and talk with folks who deal with the same issues of Systems Administration, Development, Deployment, and Operations that you do. Talk with your peers that are actively working on building tools, providing services and architecting frameworks to assist and build a DevOps community; and companies who run their organizations using Agile and DevOps concepts. To recruiters, please do not join our group and send messages to our members with job spam. If you would like to network with our members, you are highly encouraged to attend one of our meetings and find out if anyone is pursuing career options.